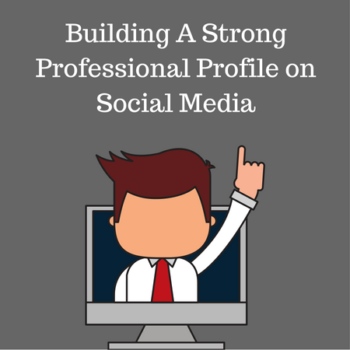 Social media today plays a huge part in the success of a Tech professional’s career. It can result in you being found and approached with enticing career opportunities. Or it can be used more proactively to open doors with potential business partners, future employers, investors and other high value connections. There are two angles to consider here. The first is how visible you wish to be in the market? When a recruiter or entrepreneur is searching for tech experts, how likely is it that you will come up in the search results as one of the top matches? Linked to that, how frequently will your peers and the wider tech community see your updates appearing in their social media feeds – and how many people will add social proof to your reputation by commenting on or sharing your posts? The second angle is whether you wish to use social media more proactively to build relationships and strike up conversations with people of interest. For a Tech entrepreneur, this could mean sparking conversations with potential business partners, investors, vendors and future employees. For someone on the payroll, this could mean starting conversations with mentors or potential future employers and with startups in your space that you may be interested in joining at some point in the future. If we think firstly of your visibility in the marketplace, there are two overlapping elements we will want to address. The first is whether your online profiles, most notably on LinkedIn, have been written in a way that maximizes visibility when recruiters or investors are searching for talent they would like to engage. Have you been thorough in including all the most important keywords that relate to your work and your skillset somewhere on your profile? Have you taken the time to look at job adverts in your sector to see the types of skills and experience that recruiters are crying out for? These should be translated to appear on your profile, so that anyone looking for such an individual is likely to find your profile high up in the search results. This is the professional equivalent to having a web page rank highly in search engine results. You are effectively reverse-engineering the research that a recruiter or business owner might undertake if they were looking to hire someone with you skillset. Alongside this work, it’s also important to have a Linkedin headline that grabs the attention of people and makes them want to click through and find out more about you. Similarly, it is important to write a Linkedin summary that immediately wins over the reader and has them believing they’ve found themselves a strong candidate or business partner (rather than clicking the back button to go and look at someone else instead).. This is one element of visibility on social media, namely being found when someone is looking for skills such as those that you possess. But the other side of this coin is how visible and well-known you are in your sector amongst your peers and amongst those who might engage your services in the future. This is a function of how extensive your network of connections is in your industry, how consistently you share updates that are relevant to that audience and how much your connections interact with the updates that you share. When done well, this can result in your name being better known than most of your peers and this brings a variety of upsides. You are more likely to be referred for job opportunities, you are more likely to be called upon by media contacts as a tech expert, you will have more credibility whenever you are talking to people at conferences, events and assessment days. All it takes is a little investment of your time and a focus on doing the things that genuinely move the needle. The other side to consider is how effectively social media can be used to proactively build relationships with people, open doors and spark conversations. This can be highly productive for Tech entrepreneurs wishing to secure investors, contact potential business partners or start hiring conversations. Equally for Tech professionals it can be a great way of increasing the size of your network and building relationships with for the future with others in your domain. Exactly how you would do this differs from platform to platform. The essential principle though is to proactively reach out to your target audience in a way that connects you on that social platform and ideally has you starting worthwhile conversations from the outset. This requires consistency, possibly through automation or delegation, and a total focus on being valuable and starting conversations rather than leading with anything promotional or self serving. For example, on LinkedIn you would look to consistently add new connections to your network each week. You’d look to do so in a way that sparks conversations with those new connections that will have some value to you in your career or your business. Done well, this turns your social networking into a numbers game. Imagine knowing that for every twenty new connection requests you send, one interesting conversation is started. So over time by consistently doing this you build up the number of relationships you have in your industry and the number of people you can turn to for assistance or guidance in the future. The key is to actually invest in understanding how you get results on each platform and then invest the time needed to consistently do those things week in week out.